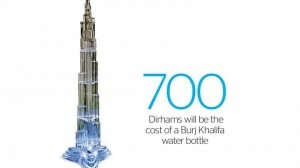 A Dubai expat’s ambitious plan to introduce a brand of Burj Khalifa-themed luxury water bottles to the UAE in the lead up to Expo 2020 will also see the creation of the world’s most expensive – fully platinum and diamond encrusted – water bottle and the world’s tallest crystal bottle. 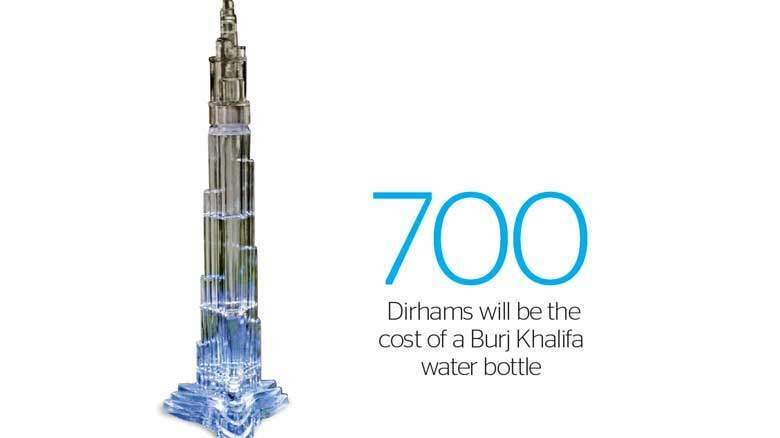 According to Danish inventor Tayseer Hadi, the water bottles will be approximately half a metre tall; the 750ml ‘Burj Khalifa Water’ bottle will be made of K9 crystal, and will include LED lights in a removable base to give the water – which will probably be imported from Iceland – a blue glow. Hadi told Khaleej Times he came up with the idea in 2013 to represent Dubai’s creativity and constant quest to be innovative, and hopes that the bottles – which he estimates will sell for approximately Dh700 – will one day become an iconic Dubai souvenir. “When I first came to Dubai I wanted to create something that was different. I’ve always been interested in the water business, and I saw it as something that would bloom,” he said.